The Macy’s One Day Sale deals keep getting better, as evidenced by the free Clinique Sonic Brush you can get for a limited time. The Macy’s Thanksgiving One Day Sale is going on right now and that means you can choose your FREE Mini Sonic Brush ($26 value!) with any $55 Clinique Purchase. Your gift will be added automatically at checkout. Keep in mind, the minimum purchase requirement does not include the purchase of gift card(s), tax, shipping or gift wrap charges. Only one free brush is allowed per customer and are available while supplies last. Oh, and did I mention this is an online only deal? Just another reason you should keep checking back here at Magic Style Shop daily – we have you covered! And if this isn’t something you think you want for yourself (though I don’t know why you wouldn’t) this would make a powerhouse holiday gift for someone on your list. 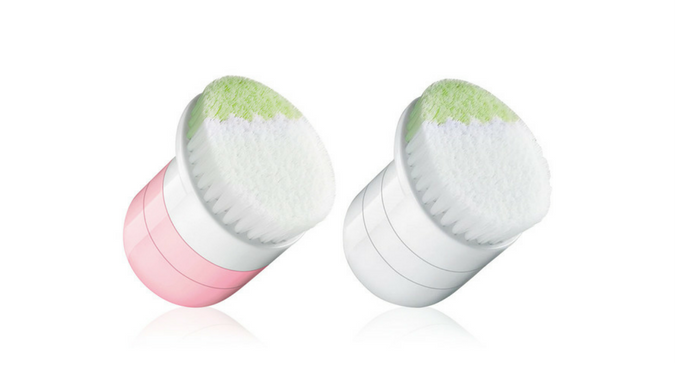 Imagine presenting them with not only their favorite skin care, but with a facial brush to go with it! Now that’s a gift worth remembering. Just make sure you act fast to get the color you want.